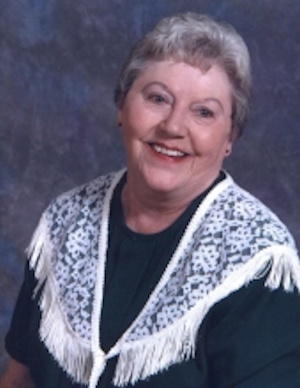 Obituary – Bristol, Helen Louise (Wilda) « Perry High School Alumni Association, Inc.
Library Staff 49-52, Class Assembly 50-51, Glee Club 48-49. Helen Bristol was born on a farm west of Ponca City, Oklahoma to Joe and Sally (Grim) Wilda on November 22, 1934. She went home to be with her Lord at her home with her family by her side on June 21, 2017. She was 82. David and Helen were married October 11, 1957 at the Lutheran Church in Perry, Oklahoma. David worked for R.L Frailey’s Construction Company for many years, and they traveled throughout the central United States during that time. When they were located in Perry, they enjoyed bowling with friends and family in bowling leagues. They also enjoyed fishing and gardening. Playing cards were always a center focus in the family setting. Family was everything to both of them. 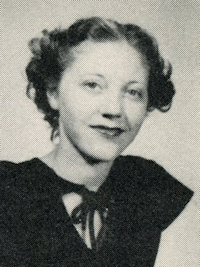 Helen attended school at Marland and Three-Sands and graduated from Perry High School in 1952. After graduation, she was employed by Southwestern Bell Telephone for five years. She worked many years at M & W Food Stores in Perry, Oklahoma. David and Helen managed the Kerr McGee Station in Perry for several years. After selling the station, Helen was employed by Perry Memorial Hospital and then Stillwater Medical Center. After retirement, she worked part-time at Hahn’s cleaners in Perry. Helen was preceded in death by her husband David Bristol of Perry, OK; parents, Joe and Sally Wilda; parents-in-law, Jack and Leola Bristol of Perry, OK; sister, Mary Ellen (Wilda) Chartier of Hennessey, OK; brother, Jim Wilda of Houston, TX; and one granddaughter, Amy Beth Driskel of Stillwater, OK.
She is survived by her daughter, Vanessa (Bristol) Sigler of Perry, OK; granddaughter, Charity (Sigler) Forman and great granddaughters, Hannah, Morgan, and Camryn Forman of Perry, OK; granddaughter, Leia Sigler, her best friend , Curtis Smith, and granddaughter, Kirra Horner, of Yukon, OK; brother, Bill and his wife Alice Wilda of Perry, OK; sister-in-law, Carolyn Wilda of Houston, TX; niece and grandniece, Teri and Veronica Busby of Enid, OK; nephews and their spouses, Troy and Pam Wilda, Mike and Stacey Wilda, Brian and Rhonda Bristol of Perry, OK, Kevin and Tammy Wilda of Chichaska, OK; nephew, Billy Wilda of Wichita, KS. Other loving family members include the Avra Family, Clonts Family, Campbell Family, Forman Family, and Horner Family. The family would like to visit with friends at Trout Funeral Home of Perry on Friday, June 23, from 6:00 p.m. to 8 p.m. A celebration of her life will be held at First Baptist Church on Saturday, June 24, 2017 at 10:30 with Pastor Kim Hays officiating. Burial will follow at Grace Hill Cemetery Perry, OK. In lieu of flowers and to meet Helen’s wishes, the family would like for you to help support the research for breast cancer by donating to the American Cancer Society or American Heart Association care of Trout Funeral Home of Perry, 1408 N. 7th St. Perry, OK 73077.